Poor Socksquatch. All he wants is two warm feet, but things aren’t going his way. Even his friends can’t help. AAAAAAAAAAAAAAAAAAAA! 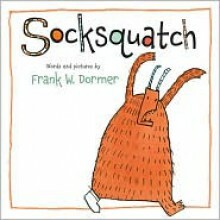 What’s a monster to do?Frank Dormer’s sweet, funny monster story will charm the socks off young readers.